Mr. PAUL. Mr. Speaker, I highly recommend Bruce Bartletts Minimum Wage Hikes Help Politicians, Not the Poor, which recently appeared in The Wall Street Journal, to all of my colleagues. Mr. Bartletts article provides an excellent overview of the evidence that an increase in the federally-mandated minimum wage reduces teenage employment. Since those shut out of entry-level work are unlikely to obtain higher-paying jobs in the future, an increase in the minimum wage reduces employment opportunities for millions of Americans. This point was also highlighted by Federal Reserve Chairman Alan Greenspan in testimony before the Senate in January when he pointed out that All the evidence that Ive seen suggests that the people who are the most needy of getting on the lower rungs of the ladder of our income scales, develop skills, getting the training, are unable to earn the minimum wage. As a consequence, they cannot get started. And I think we have to be very careful about thinking that we can somehow raise standards of living by mandating an increase in the minimum wage rate. I hope all of my colleagues will carefully consider how increasing the minimum wage decreases opportunities for our nations youth and refrain from reducing economic opportunity for those at the bottom of the economic ladder by raising the minimum wage. Bruce Bartlett is senior fellow at the NCPA. He was Deputy Assistant Secretary for Economic Policy in the Treasury Department from 1988 to 1993, and Senior Policy Analyst at the White House from 1987 to 1988. He is an expert commentator on taxes and economic policy, the author of two books and, a syndicated columnist. His articles have appeared in many papers including The Wall Street Journal and The New York Times. He regularly appears on national television and radio programs. (By Bruce Bartlett) It now appears likely that the Republican Congress will soon raise the minimum wage for the second time in three years. In 1996 the minimum increased to the present $5.15 an hour from $4.25; the increase now being considered would bring the figure up to $6.15 by 2002. This is bad news, for as many as 436,000 jobs may disappear as a result of the increase. During the last debate, two arguments were advanced in favor of raising the minimum wage. The first claimed that the minimum wage had fallen sharply in real (inflation-adjusted) terms since the previous increase in 1991. But with inflation having all but vanished in the 19 months since the last increase, this argument does not hold true today. The federal minimum wage was first enacted in 1938, but applied only to the small minority of workers who were engaged in interstate commerce. The first data we have on teenage unemployment are from 1948. From then until a significant expansion of the minimum wage in 1956, teenage unemployment was quite low by todays standards and was actually lower for blacks than whites. Between 1948 and 1955 unemployment averaged 11.3% for black teenage males and 11.6% for whites. Beginning in 1956, when the minimum wage rose from 75 cents to $1, unemployment rates between the two groups began to diverge. By 1960, the unemployment rate for black teenage males was up to 22.7%, while the white rate stood at 14.6%. Despite such evidence, supporters continued to push for ever higher and more inclusive minimum-wage rates, which were raised almost yearly between 1961 and 1981. At each point the unemployment rate for black teenagers tended to ratchet higher. By 1981, the unemployment rate for black teenage males averaged 40.7% — four times its early 1950s level, when the minimum wage was much lower and its coverage less extensive. That year, the federally-mandated Minimum Wage Study Commission concluded that each 10% rise in the minimum wage reduces teenage employment by between 1% and 3%. Subsequent research, based on the effects of the previous two minimum-wage increases, continues to confirm this estimate. A study of the 1990–91 increases, which raised the rate by 27%, found that it reduced overall teenage employment by 7.3% and black teenage employment by 10%. Similarly, a study of the 1996 increases found a decline in employment of between 2% and 6% for each 10% increase in the minimum wage. In a study published by the Federal Reserve Bank of San Francisco, economist Kenneth Couch Translated these percentages into raw numbers. At the low end of the range, at least 90,000 teenage jobs were lost in 1996 and another 63,000 jobs lost in 1997. At the higher end, job losses may have equaled 268,000 in 1996 and 189,000 in 1997. He estimates that a $1 rise in the minimum wage will further reduce teenage employment by between 145,000 and 436,000 jobs. Increases in the minimum wage have a disproportionate impact on teenagers and the poor. The minus 2.1% figure cited above is an overall impact. For those currently earning less than the new minimum wage, the impact is much greater. For example, prior to the 1996 increase, 74.4% of workers between the ages of 16 and 24 already earned more than $5.15, and 4.3% were legally exempt from the minimum wage law. Thus the employment losses were concentrated among the 21.3% of workers making the minimum wage or slightly more. When one attributes total employment losses entirely to this group, it turns out that the employment loss figure is minus 1%, according to economists David Neumark, Mark Schweitzer and William Wascher. This means a 10% rise in the minimum wage reduces employment among this group by 10%. The minimum wage reduces education and training and increases long-term unemployment for low-skilled adults. Messrs. Neumark and Wascher found that higher minimum wages cause employers to reduce on-the-job training. They also found that higher minimum wages encourage more teenagers to drop out of school, lured into the labor force by wages that to them seem high. These teenagers often displace low-skilled adults, who frequently become semipermanently unemployed. Lacking skills and education, these teenagers pay a price for the minimum wage in the form of lower incomes over their entire lifetimes. A raise in the minimum wage has always been an easy sell in Washington. But whatever the political realities may be, its still a bad idea. 1999 Ron Paul 57:1 federally-mandated probably should be unhyphenated: federally mandated. 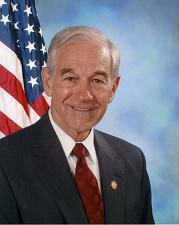 1999 Ron Paul 57:8 federally-mandated probably should be unhyphenated: federally mandated. 1999 Ron Paul 57:10 economist Kenneth Couch Translated probably should not be capitalized: economist Kenneth Couch translated.